Dog Won't Eat? Ideas on How to Tempt Appetite and Coax Your Pup Into Taking Nutrition. I’m a member of the Dog Cancer Support Team & a Dog Cancer Survivor! 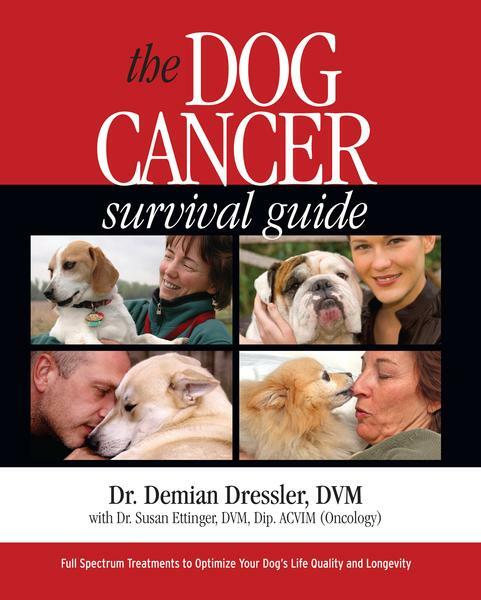 Two of my beloved dogs have had cancer, and with the Dog Cancer Survival Guide, Apocaps, and full spectrum help given with boundless love, both our dogs far surpassed the odds we were given. I’m an Animal Health Consultant with a Diploma in Animal Healing, and Assistant Instructor with the Healing Animals Organization (MHAO). I’m passionate to help dogs and their people get through this journey. Early on I asked the Team how I could help, and here I am. When we are helping our beloved dog through a cancer journey we realize how vital food is in the equation. The body must be supported with beautiful, life-enhancing nutrition to feed the organs and support the immune system, which in turn makes our dog stronger to get through this fight and even thrive. Dr. Dressler’s dietary guidelines are a wake-up call for many. Perhaps we thought we were doing a pretty good job before all of this, but our research brings awareness that more can be done. So, we spend hours reading and learning, comparing brands, buying ingredients, measuring, weighing, mixing, cooking, dividing and finally presenting our pup with the results of our efforts… TADA! Dr. Dressler’s dietary guidelines are a wake-up call for most of us! When our dog loves her new diet, we feel grateful, we feel empowered, and we feel that this is something real that we can do to help our friend in her fight. But sometimes, our beloved looks at the food, looks back at us, and then just walks away. We’re crushed! All that work and all the hope still sits in the bowl. What went wrong? The entire process of food carries a lot of emotion, never more so than when we humans are fighting for our dog’s life. There are many factors that can affect whether our dog eats and enjoys the wonderful nutrition we have provided. There are many factors that can affect whether our dogs eat. Dogs have dislikes and likes, just like humans do. Here are a few tips for you, if your dog isn’t wolfing her food. What is the dog cancer diet? Check chapter 14 for the full guidelines — and the rest of the book for more invaluable information! We are programmed for convenience. We want to get the most done in the most efficient way possible in the shortest amount of time. This is one of the reasons that commercial pet foods caught on so quickly when they were introduced a few decades ago. So when preparing a dog cancer diet we want to put all the ingredients in one wonderful “meatloaf,” as Dr. Dressler suggests in his book. And that may be wonderful for some dogs. Unless it’s not. If your dog is turning up her nose at your delicious loaf, keep the following in mind as you try new angles to get her to accept the food. Dogs in the wild take down their kill and eat the meat and bones, stomach contents etc. But they eat each one at a time, not all mixed together. This is because dogs eat individual foods separately in the wild. If wild dogs raid a nest they get the eggs and the shells. Later, they might eat some fresh grass or wild plants. You’ve likely seen your own dog selecting one type of wild food over another. They need a particular ingredient. We’ve all seen dogs drink from muddy puddles or paw up lovely earth to chew. At home, some dogs love broccoli, and some love raspberries. This is self-selection, and we at Dog Cancer Vet suspect that this is not simply a matter of them liking the taste, it’s also because they know the nutrients in these foods are good for them. Scientists call this zoopharmacognosy, and it’s fascinating. So, when it comes to the dog cancer diet, one dog may want Brussels sprouts while his companion doesn’t. This may be because the first dog needs Brussels sprouts, and his buddy doesn’t! Next week when he doesn’t need the nutrients found in Brussels sprouts, he may not “like” them anymore. The ingrained wisdom of self-selection has allowed our dogs and many other species to thrive for thousands of years in the wild. Back when humans were hunter/gatherers, we used very similar wisdom to select food for ourselves, too. Your dog might not need just one ingredient. So when we present our dog with a mix of many different ingredients, he may refuse the mix because there is just one ingredient that he does not need. Since he can’t eat the mix without also eating this one food, he refuses it all. Our dogs are programmed that when eating and digesting something that doesn’t feel good, they don’t eat. It’s really that simple. Dog not eating = dog does not feel well. Humans can be persuaded that eating will make them feel better, but not so much with dogs. If your dog doesn’t want to eat for one meal, it is probably OK. Try again in an hour or two – perhaps it is temporary discomfort. Keep offering until your dog accepts the food. If he won’t eat for twenty-four hours, though, it’s time to ask your vet for some help understanding what the problem may be. Dogs in the wild will not relax and eat if there is fear or threat nearby. Similarly, healthy domestic dogs may delay eating if there is frantic energy or shouting in the house. Would you want to eat when your beloved is frantic and upset? We put the bowl down, our dog feels our need, and that energy is not welcoming. There’s simply too much pressure. If I’m feeling particularly upset or rushed, sometimes I start to sing something upbeat and friendly as I prepare my dog’s meal. “You are my sunshine,” or “Twist and Shout” or “My Favorite Things” all come to mind. I don’t know if my dogs like my singing voice, but I know they like my calmer heart rate and cheerier mood. It makes it so much easier for all of us to enjoy their meal. We’ve all had a time when we didn’t feel good or were in a bad mood. Wasn’t it nice when someone offered to get us a drink or our favorite snack and we didn’t have to make the effort ourselves? When our dog is dealing with physical and emotional changes she may need an extra bit of TLC with her food. The food she refuses from the bowl may be irresistible when offered in our hand. So how do we navigate these changes? Like the rest of the lessons we learn on this journey, we become aware, we observe, we adapt and we allow some time. Let a meal be a joy-filled experience. Offer the bowl with calm, welcoming energy. If your dog hesitates, give her time to explore it. Give her space as she eats, but stay nearby and let her know how wonderful it is that she likes her food. If she turns away, don’t chase her with the bowl, but invite her back gently and use either a large spoon or your hand to offer her a sample. Receiving food from you carries wonderful memories of being given food as a pup and it’s a very loving thing to do. Hand-feeding can remind your dog of puppyhood and cuddles. You may find that she eats the entire meal from your hand, or starts and then wants to continue from the bowl. Keep the emotions and experience gently happy and you will feed more than her body. If you find that your dog simply does not want the meal, put it aside for later. Remember that Dr. Dressler recommends “cheat days” so if your dog wants to eat other food, at least he’s eating. Don’t Let the Food Touch!! You may find that for whatever reason your dog just won’t accept the mix you’ve prepared. Don’t give up. Some little kids don’t like their foods to touch each other, and some dogs don’t, either. A way around this is to simply not blend everything together. When you cook all your ingredients, the meat, the wonderful vegetables, etc. make your usual amount, but don’t mix it together. At mealtime, select a portion of each food and gently warm it to enhance the scent, then offer this to your dog. Some little kids don’t like their foods to touch each other, and some dogs don’t, either. You’ll soon see which are the favorite items and this will be more great information from your dog you can use. If there is one ingredient that your dog consistently refuses, you’ll know not to keep it on your shopping list. For most people, the initial challenge of preparing a dog cancer diet seems overwhelming. Once begun, however, we discover the little bit of extra time it takes is rewarded by knowing we are really helping our friend, and by the calm, loving experience of mealtime that we can share. Shurkin J. News feature: Animals that self-medicate. Proc Natl Acad Sci U S A. 2014;111(49):17339-41. The sound on this video is not great, but the presentation is fascinating! Can you please help? My dog has Mast Cell CA. When I cook the CA diet from the book, I turn my stove to almost off but it still cooks hot. I have had stove repair out to look but they say nothing they can do. I’m afraid I’m still boiling it and hurting her further! Can I use a slow cooker? Or how about one of those new One Pots? I want to do everything I can to help her and not do her further damage. Thanks for writing, and we’re sorry to hear about your girl. As we’re not vets, we can’t give you medical advice. However, we can provide you with information based off Dr. Dressler’s writing. Cookie, my 15 year old German Spitz was diagnosed with Kidney failure and was placed on Hills KD diet. Everything was ok for about 2 years. 4 months ago she was unwell and a scan showed spots on her liver and her kidneys are now 2.33 cm each. Due to her age and kidney situation, the doctor advised against doing a biopsy etc. We have been going for monthly scans. She is basically on Palliative care till her time comes. Her liver is now slightly enlarged, and half is covered. She is on Gabamantin in the morning, and Tramadol in the evening. She has been panting hard continuously (started two weeks ago). The vet said that part of her airways have narrowed. She’s on Theophylline now – 2 x a day. But she is still panting continuously. Why is she panting so hard.? She just wont eat at all. I’m at my wits end. The was an amazing eater before. As someone mentioned above – “she looks like she wants to eat but has a sniff then walks away, we hand fed her the best foods and now she’s turning her nose up at that”. I have tried Everything!!!! She is now weak and her stomach makes such noises. She also has horrible diarrhea. She has been drinking a lot more water, I noticed that all her panting makes her mouth dry. She is also had behavioral changes – furiously digging up the whole garden … grass was unearthed, soil was all over the patio and the stones too. She even bit through bamboo!!!!! She also now run out in the torrential rain. These are things she would never ever do. She’s quite the princess. Last few days I have noticed that she is depressed, agitated and blank. She has a glassy look to her eyes at times. She also does not sleep much. She basically does not know what she wants. And that is killing me trying to guess what to do. She is not at the stage yet where we need to contemplate giving her the shot. Most times she’s very alert. So how do I get her to eat? She’s getting weak from lack of food and I don’t want that to be the reason for her to go downhill. Im considering using a syringe and slowly forcing food down. My 7-Year-Old Newfoundland was recently diagnosed with a stomach growth. He has medicine he takes to stop the drooling, but now he won’t eat at all. I’m very worried because he’s obviously losing weight, and might starve himself if this continues. Please help me! The Dog Cancer Diet has helped many dog guardians. And, there’s also a recipe for a Bone Broth recipe that can be added to your dog’s diet. I’ll include the article with step-by-step directions below. Sending warm wishes and cuddles your way. my senior dog is hanging by the thread. she is 13 going on 14. the doc gave her 2 months it’s been 7. she hasn’t been eating. we’ve been feeding her liquids throufh a syringe. she drinks alot. still has good bowel movement. but she’s weak and it is so painful to watch. I love my little trooper. Do you have any suggestions? I’m struggling to see my champ so weak she needs help to stand. she walks around and then lays in her favorite spot. Since then he has had 6 of them. I’ve brought him to every specialist that was recommended by the last one, to the point that he had surgery on the 1st of September. They said his insulin levels are rising to high and his glucose levels are dropping to low. After tumors, lymph nodes we’re removed a biopsy was done to include his liver came back with metastatic cancer. I started him on CBD. Recommended by my own neurosurgeon. Now he won’t eat. What do I do? What if your dog won’t eat anything at all, even raw liver, scrambled egg, tuna, no matter what he is offered? We have a very sick and old hunting dog (13 years) who has congestive heart failure. He was coughing continuously and the vet gave him some heart tablets and a diuretic which helped a lot initially. He gradually got some of his appetite back and had some tuna, soft dog food and seemed to be getting better. But for the past week or longer he has refused to eat anything, not even the pieces of best liver we used to get the tablets into him. He spends all the day wandering around the garden lying under various trees and bushes, and has disappeared during the night for hours, coming back to sleep on the sofa. We realise he is probably dying but he is now looking like a skeleton, especially his rear end. He drinks quite a lot, especially from buckets and the stream outside. He reacts to being caressed and doesn’t appear to be in actual ‘pain’. But he IS starving himself to death and is wasting away. Should we simply get the vet to administer an injection or is there anything else we could try to get him eating again. Since he stopped eating he no longer coughs or dry vomits, so perhaps he has conditioned himself into believing that eating makes him ill.
Hi Alicia, We’re so glad to hear that the suggestions have helped. Dr. Dressler always says it’s better to have a dog that will eat, even if it’s not the best nutrition, than a dog who won’t eat at all. You do what you have to. Have you tried diluted chicken broth? Beaten egg? Scrambled egg? And bone broth? All are pretty easy and inexpensive to make and usually irresistable. Your vet can likely give you an appetite enhancer. Try saltines instead of the animal crackers, and just rub off the excess salt. It’s a dance when our dogs won’t eat, and we wind up offering a little of absolutely everything in the house. I’d bet on bone broth and/or chicken broth as an option. You could float a couple animal crackers in the broth so to get the cracker she gets some broth as well. You can also spread a little on your skin, as some dogs will go for the flavor when it’s related to us personally. And sit with her and talk to her about her eating. Explain calmly how you are worried about her appetite, and would feel so much better if she’d take a little food. Fill your heart with love are you talk, not worry. Ultimately it’s her decision, and it’s important to honor that. Let her know that too. Take the pressure off, and you may be amazed at the reaction. Good luck. Great suggestions! We’ve tried them all with my 14 year old Pomeranian who has been going through chemotherapy for the past year, and at various times, most of those methods have worked to get/keep her eating! Very recently, however, we’ve experienced a rather acute onset of anorexia. The ONLY things I can get her to eat are loaded with sugar (animal crackers, pieces of waffle, etc), which we’ve steered away from all this time for obvious reasons. Do you have any thoughts on that? These are great suggestions. My dog has a nose tumor and I hand feed him a scrambled egg every morning as a start to his other food. He wouldn’t eat when he came out of surgery. Finally I remembered how soothing salt is to an upset stomach and offered him some pretzels. He began with a few at a time and was soon eating again but with softer food or kibbles wet with a little water. I think the hard food hurts his nose. detailed in the book. Good luck! apoptogen is a substance that induces apoptosis, or natural cell death. options of ingredients in the diet should give you a pallet of choices. diet. Good luck, and give your pup a cuddle from all of us. Our almost 10YO lab/spaniel mix was recently diagnosed w/ lymphoma. 4 days, but the recipe is for when the dog is on the diet full time. and seems to only want soft food (maybe because its easier to swallow?). all food cooked with water (boiled, simmered) should be purified water? have shows that a 1/2-cup serving of brown rice has 33g carbs. that are not complimentary to chemo treatments? 6. If the oatmeal has sugar in it, should we leave it out of the mix? 8. Can I assume that pureeing the poultry necks is OK? 9. The healthy options additions – is it OK to add more than one of these at a time? All of them? the following items in it”, but the recipe duplicates some of the items. Any guidance you can off is much appreciated. was obviously hungry, she just looked at food and salivated. I started cooking her tasty meals and hand fed her TINY amounts of warm food about six times a day. I did not take into consideration whether or not the meals were balanced, I just wanted her to eat. Hi weve been doing the same for our furbaby and she looks like she wants to eat but has a sniff then walks away, weve hand fed her the best foods and now shes turning her nose up at that so now we are taking her to vets again for a steroid to try and boost her appetite. She had her spleen removed 4 months ago and was great after the op but its terminal and know she hasnt got long left but we just want her to eat, geel so helpless. 1. The Basic Mix Recipe should cover feeding the dog anywhere from 2 to 4 days, but the recipe is for when the dog is on the diet full time. Can the mix be frozen? If the dog is supposed to only receive a tablespoon per day to be weaned onto the diet, I would expect the mix to “go bad” after 4 days unless a much smaller quantity is made. Also, what would you suggest (as mentioned above), if a dog is not eating the same way it used to. How does a pet owner/Guardian wean a sick dog off something and onto a healthy diet if they have been turning away from their “old” food? Our dog has been turning its nose up from hard food, and seems to only want soft food (maybe because its easier to swallow?). 2. Why isn’t the mix recommended for healthy dogs? If the mix is supposed to increase/improve the sick dog’s immune system, wouldn’t it benefit a healthy dog (the old “ounce of prevention” adage comes to mind)? 3. Since water is such an important part of a dog’s diet, can we assume all food cooked with water (boiled, simmered) should be purified water? 4. The diet recommends brown rice or oatmeal. Is there any concern over arsenic levels found in rice when feeding it to a cancer-stricken dog? Doesn’t brown rice also have starch in it? The box of brown rice I have shows that a 1/2-cup serving of brown rice has 33g carbs. Wouldn’t flaxseed be a better choice (same serving size w/ about same amount of carbs, but w/ 32g of fiber and 19,200mg of Omega-3 oils per serving)? 5. Omega-6 oils are stated as being “bad” as they suppress the immune system. Our vet mentioned prednisone to consider for treatment (my understanding is that taken alone, it only manages the symptoms and doesn’t increase survival time). It is also my understanding that this drug is an immunosuppressive drug. Since the diet is trying to boost the immune system, does it make sense to give this drug to our dog, to at least increase his appetite (a side effect of the drug) so he’ll eat the new diet food? Should we consider any other drugs for treatment that are not complimentary to chemo treatments? 7. Instead of potassium chloride as a salt substitute, would capers or anchovies be OK as a substitute (since they are also both salty in taste)? Hello Pat, I’m sorry your lovely dog has received this diagnosis. It’s clear you are studying and doing everything you can to help. The Dog Cancer Diet is designed to provide the foods with the highest nutritional value and those which have been shown to have properties which optimize a healthy immune system and/or contain natural apoptogens. From reading The Dog Cancer Survival Guide you know that an apoptogen is a substance that induces apoptosis, or natural cell death. This is what we want when fighting a disease like cancer. Of course you can freeze the portions of food that you make if this makes it easier to wean your dog onto the diet, or to portion out the food you have prepared in advance. In all cases, the ingredients that you use in the diet should be as natural and organic as you can manage, without added sugars, for example. Your dog is an individual, and you are the best judge of how to manage the changes in diet. The many options of ingredients in the diet should give you a pallet of choices. There was a recent blog post at http://www.dogcancerblog.com entitled which has some great information about changing your dog over to the diet. Good luck, and give your pup a cuddle from all of us. I am a bit confused by the Dog Cancer Diet, particularly the brown rice and chicken. My dog has nasal adenocarcinoma, and his diet prohibits ANY rice, but especially brown rice, which I understand is not digestible by the dog’s short tract. Rice itself is considered a “hot” food, as is chicken (foods that generate heat in the body and stimulate cancer cells). My vet is a big fan of Dr. Dressler (he has been trying to get Dr. D. to do his radio show with him) and has read the ‘Survival Guide’, but insists that no chicken and no rice are imperative. I have 5 dogs to feed, so this is a terrible inconvenience, trying to make ‘special’ food for all of them, and then being told ‘no chicken or rice’, which were the very basis of their diets. I would just like to know what the truth is about rice (brown and white) and chicken, oh and lamb too, is a no-no, ‘hot meat’. Hello Doug, I know you’re doing your best for your dog by providing a great diet, and it’s wonderful that you are working with your vet. If you have the Dog Cancer Survival Guide, please refer to page 206 where the pros and cons of brown rice and oatmeal are detailed. And if you or your vet don’t want to offer chicken, there are several other protein sources that will be a wonderful addition to your dog’s meal, and shouldn’t require that you prepare completely separate meals for for all of your pack. Again, detailed in the book. Good luck! This article is really good. When we found out both our dogs had cancer within months of each other, we bought the Dog Cancer Diet book and started feeding them the diet. They loved it! As time went on, their needs changed and we would have to change it up. Our dog with t-cell lymphoma has since passed on but our dog with liver cancer is still with us. We have gotten to the point that we are just feeding him cooked meat, sometimes hard boiled eggs and sometimes he’ll eat some dry food. We have to give it to him by hand on some days and sometimes have to try a couple hours later and he’ll eat. I love that this article addresses this issue because some people think if they don’t eat one time it is the end. Sometimes it takes a little more effort to help them along. Our dog loves to be hand-fed and I love feeding him that way because it is one-on-one time with him. Thank you! My boxer had a miserable time during his first course of chemo. For 5-7 days at a time he would eat NOTHING at all. He had bouts of pancreatitis-like symptoms, lots of vomiting and zero energy. I wasted so much good food trying to get him to eat, and almost went crazy (although originally diagnosed as pancreatitis, he now subsists happily on a diet with lots of good fats and no ill effects). Eventually I hit on the perfect combination to get him ‘eating’ again. I made chicken bone broth and gave him a cup at a time with an egg beaten into it, and a little salt and honey (figuring he was a little dehydrated after several days). When he wouldn’t eat solids or drink plain water, he thought this was the best thing ever! We’re now doing round 2 of chemo and a slight tweak of the dose of one of the drugs has seen him handling it all with hardly any side effects. He’s gained back the 6 kilos he lost last time, and a bit extra for good measure. I still give him the broth/egg mixture as a treat a few times a week.